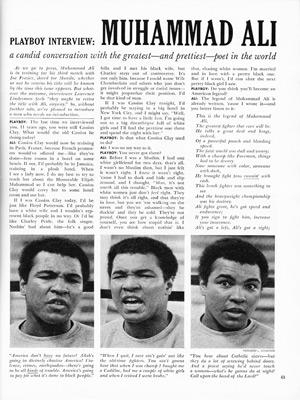 In a wide-ranging 1968 interview with Bud Collins, the storied Boston Globe sports reporter, Ali insisted that was as unnatural to expect blacks and whites to live together as it would be to expect humans to live with wild animals. "I don't hate rattlesnakes, I don't hate tigers — I just know I can't get along with them," he said. "I don't want to try to eat with them or sleep with them."